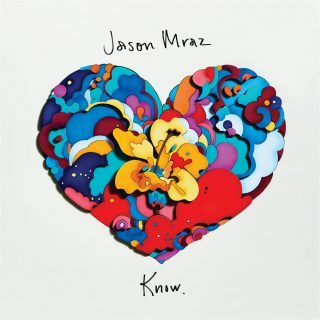 Jason Mraz : Know album download | Has it Leaked? Jason Mraz was born and raised in Mechanicsville, Virginia. He has several different musical influences. His style is formulated from aspects of jazz, rock, hip/hop, country, and pop. He's jammed with several different artists, including Alanis Morissette, John Popper, Tristan Prettyman, Jewel, the Rolling Stones, Bob Dylan, and the Dave Matthews Band. In 2001, he was briefly married to someone named Sheridan. Their divorce wasn't messy, and they are still good friends. Jason Mraz's sixth studio album, Know will be released in August 2018. This information is from his website. Jason is an American singer-songwriter who first came to prominence in the San Diego coffee shop scene in 2000. A couple of singles have been released for this album.